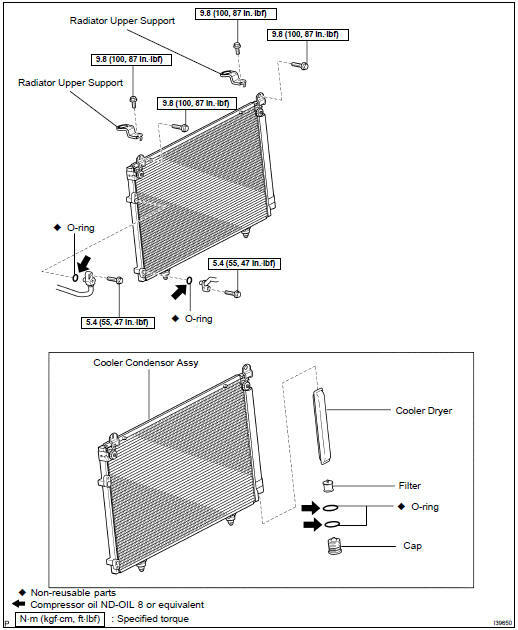 (a) If a fin of the cooler condenser assy is dirty, clean it with water and dry it with compressor air. NOTICE: Do not damage the fin of the condenser assy. (b) If a fin of the condenser assy is bent, make it straight using a screwdriver or pliers. (a) Using a halogen leak detector, check pipe joints for gas leakage. (b) If gas leakage is detected in a joint, check the torque of the joint.